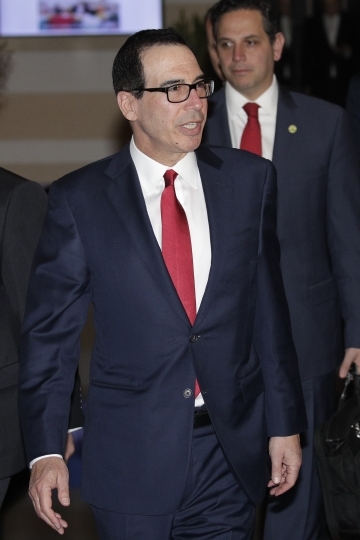 BEIJING — Chinese and U.S. negotiators adjourned trade talks in Beijing on Friday with U.S. Treasury Secretary Steven Mnuchin saying they had been "constructive." Neither side gave any details on whether the talks made progress on issues preventing them from reaching an agreement to end a wide-ranging dispute over technology and industrial policy between the world's two biggest economies. 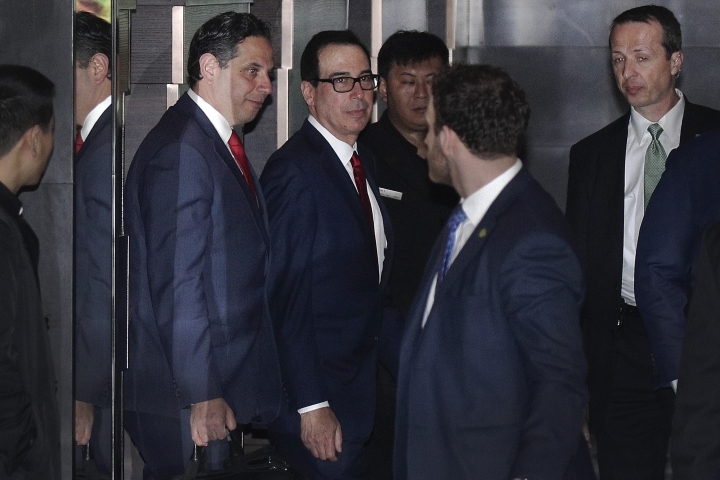 Mnuchin said in a tweet Friday that he and U.S. Trade Representative Robert Lighthizer had "concluded constructive trade talks." 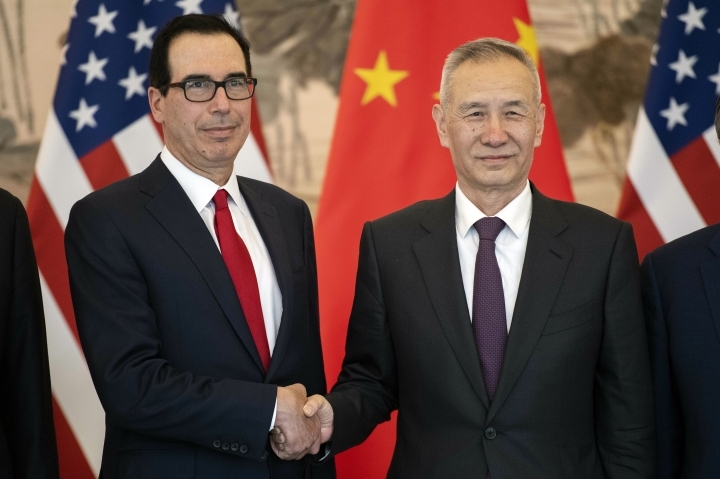 "I look forward to welcoming China's Vice Premier Liu He to continue these important discussions in Washington next week," he said. 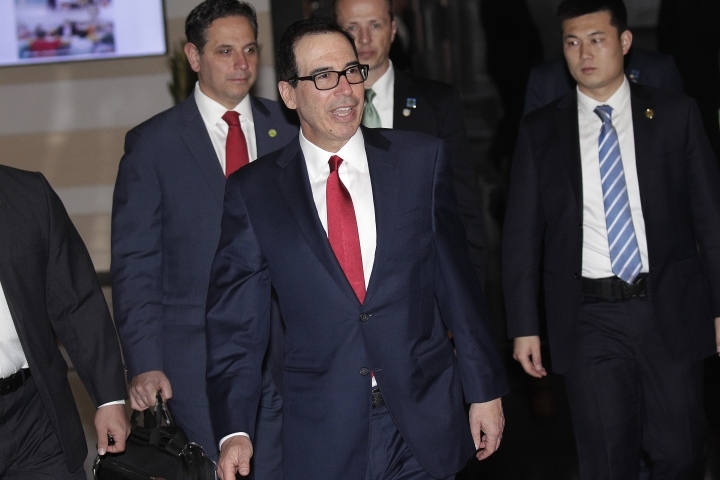 Mnuchin and Lighthizer attended a working dinner with Liu on Thursday night, shortly after their arrival in the Chinese capital. 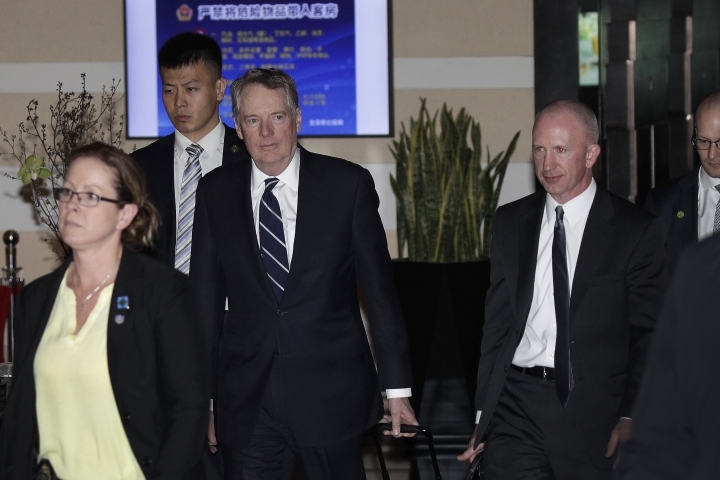 It was not clear when the U.S. envoys planned to leave Beijing. President Donald Trump expressed optimism about the talks last week, saying, "we're getting very close." 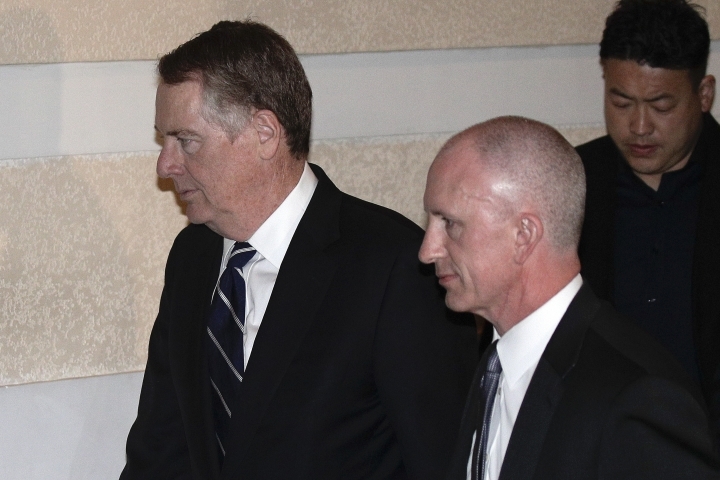 Lighthizer said earlier this week that questions about details and enforcement remained to be answered. "Both teams are currently sparing no effort" on the negotiations, Chinese commerce ministry spokesman Gao Feng said during a regularly scheduled briefing on Thursday. 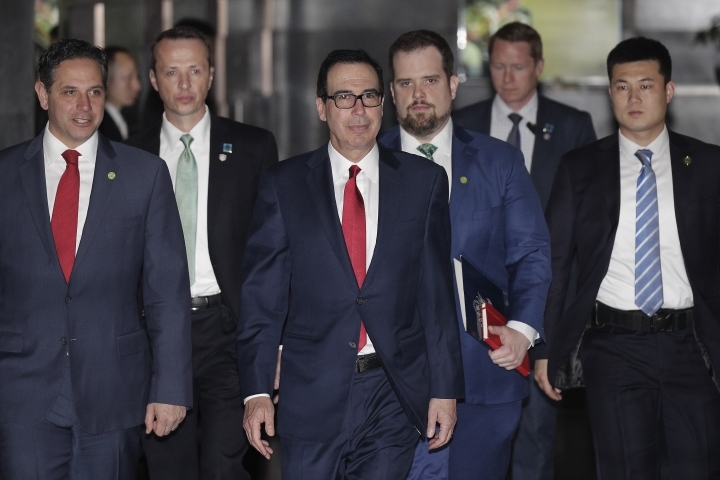 A stumbling block appears to be Washington's insistence on an enforcement mechanism with penalties if Beijing fails to follow through on commitments. But trade analysts expect at least a preliminary accord in coming weeks or months. 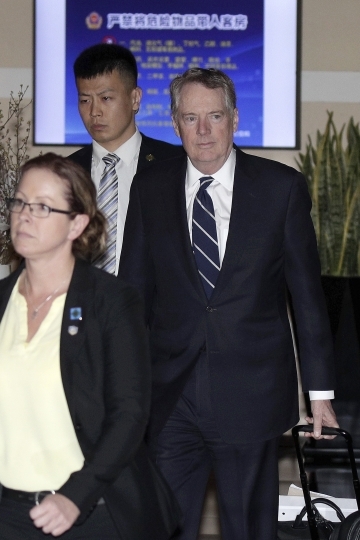 The negotiations are unlikely to resolve conflicts that have troubled U.S.-Chinese relations for two decades, including China's massive trade surplus with the U.S. and accusations it has stolen or coerced the transfer of foreign technology for its own use. Trump raised duties last year on Chinese imports in response to companies' complaints over such issues. 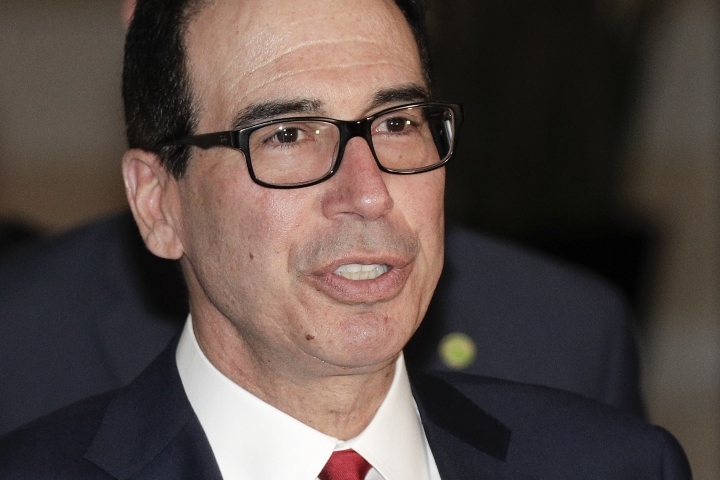 Last week, he said he wants to keep in place the 25 percent taxes on $50 billion of Chinese goods that he imposed in July. Washington followed those with 10 percent duties on an additional $200 billion. 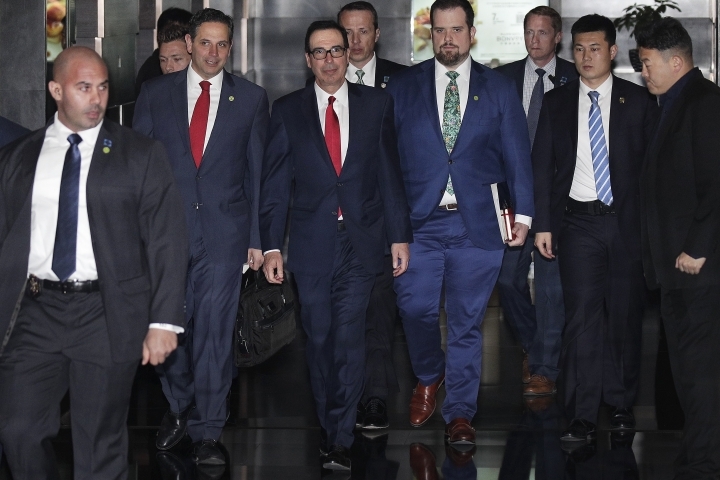 All told, the U.S. tariffs covered roughly half of what the U.S. buys from China. However, Trump postponed another tariff hike that had been set for March 1. 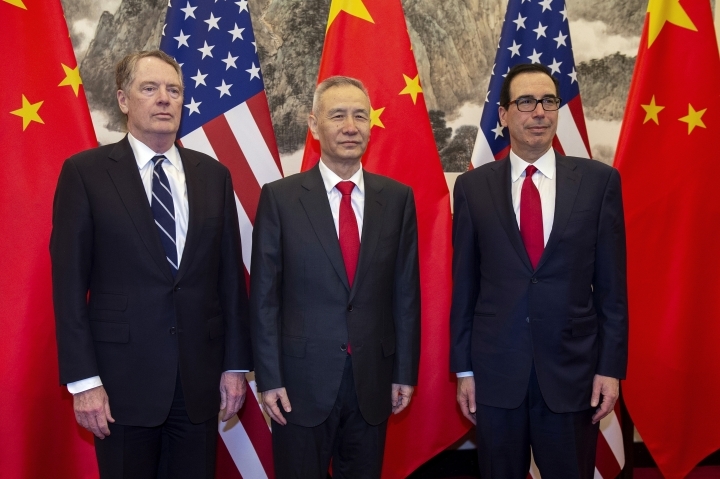 That may have reduced U.S. leverage in seeking Chinese concessions. Moving to fulfill a promise to allow full foreign ownership of banks, insurance companies and other financial businesses that have been dominated by Chinese institutions, regulators have approved American bank J.P. Morgan's application to set up a majority-controlled securities firm, the company said Friday. Until now, foreign investors have been limited to minority shares in Chinese state-owned institutions. J.P. Morgan gave no details of its planned venture. But the chairman of J.P. Morgan Asia Pacific, Nicolas Aguzin, said the Wall Street bank wants to bring "the full force of our firm to the country."